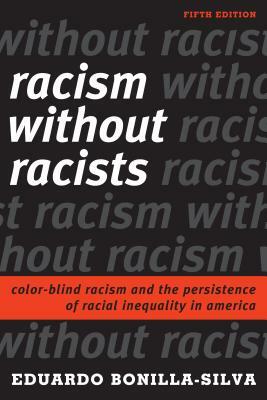 Eduardo Bonilla-Silva's acclaimed Racism without Racists documents how, beneath our contemporary conversation about race, there lies a full-blown arsenal of arguments, phrases, and stories that whites use to account for--and ultimately justify--racial inequalities. The fifth edition of this provocative book makes clear that color blind racism is as insidious now as ever. It features new material on our current racial climate, including the Black Lives Matter movement; a significantly revised chapter that examines the Obama presidency, the 2016 election, and Trump's presidency; and a new chapter addressing what readers can do to confront racism--both personally and on a larger structural level. Eduardo Bonilla-Silva is professor of sociology at Duke University. The recipient of the American Sociological Association's Cox-Johnson-Frasier award and the Lewis A. Coser award for theoretical agenda-setting, he is author or co-editor of several books, including White Logic, White Methods. He is president (2017-2018) of the American Sociological Association and the Southern Sociological Society.